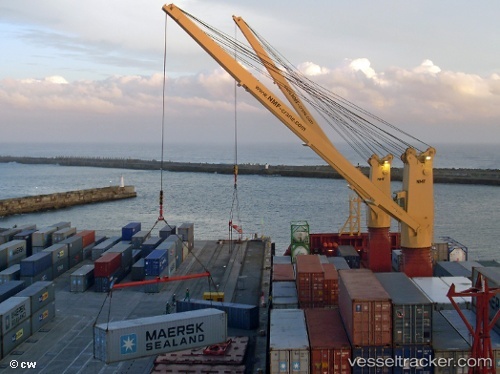 According to Ports and Ships website, SA port-infrastructure refurbishment - including the purchase of new cranes and other cargo handling equipment at the various ports - is central to Transnet's R300 billion upgrade programme. Recently, delivery has been made of a new mobile crane to the port of East London. The new R70-million Liebherr mobile crane was discharged from the heavy lift ship Annette in East London. The largest car carrier to sail into East London, the MV Tijuca, arrived yesterday afternoon. The 231m-long ship, which has a total of 13 decks, arrived from Port Elizabeth and sailed later yesterday to Durban and will continue on to Australia. The Tijuca's arrival has been driven by the awarding of major automotive contracts to local manufacturers such as Mercedes-Benz South Africa's (MBSA) contract with Daimler AG to produce the C-Class in East London.